Monday Jan 10th! New Year Keeps Bringin the Ringin’ w/ AARON SAMUELS, CAPTAIN CAT, GARY HOARE & “HOW LOW INNUENDO” CHALLENGE! | Dirty Gerund at Ralph's Rock Diner! « Dirty Gerund Show Seeks Musical Guests Local Worcester Spotlights / Visual Artists! Monday Jan 10th! New Year Keeps Bringin the Ringin’ w/ AARON SAMUELS, CAPTAIN CAT, GARY HOARE & “HOW LOW INNUENDO” CHALLENGE! AARON SAMUELS, raised in a Black-Jewish household in Providence Rhode Island, is currently a senior at Washington University in St. Louis. 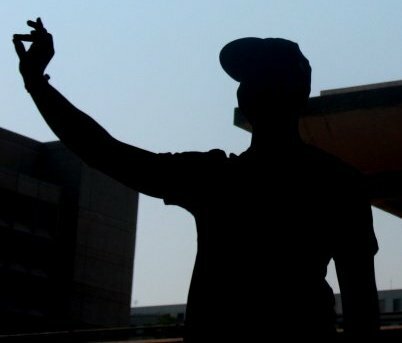 He first began writing poetry when he was fourteen years old as a way to grapple with perceptions of identity and culture. Aaron began competitive Slam Poetry with the Providence Youth Poetry Slam team. During each year of his three year tenure with this team (’06-’08), it was ranked among the top ten teams in the world. As a freshman at Washington University, Aaron created WU-SLam, a spoken word group dedicated to creating a community of writers and performers on campus. The WU-SLam team has competed in the College Unions Poetry Slam Invitational the past two years most recently ranking fifth in the nation and winning the following awards: Most Innovative Team 2009, Best of the Rest 2009, and Best Performance Team 2010. Aaron was also a member of the poem that won Best Group Piece 2009, and recently won Best Poem 2010, as an individual. In addition to writing and performing, Aaron enjoys helping others develop their poetic voice. He has taught writing workshops to middle school, high school, and college students, as well as served as the assistant coach for the Providence, Washington DC, and Boston Youth Poetry Slam teams. Aaron also enjoys using his art as a catalyst for cross-cultural dialogues, working with various organizations around St. Louis including the St. Louis Juvenile Detention Center and Cultural Leadership. Aaron has shared stages with many artists such as: Jared Paul, Kevin Coval, Robbie Q, Roger Bonair-Agard, B.O.B., The Cool Kids, Mos Def, and Nikki Giovanni. Currently Aaron is majoring in Economics and Philosophy and has aspirations of making the world a better place. I’ve been involved with youth poetry slam for over 7 years, and Aaron’s one of the most exciting performers I’ve seen over that time! Super excited that he’s making some time to visit us on his Winter Break! 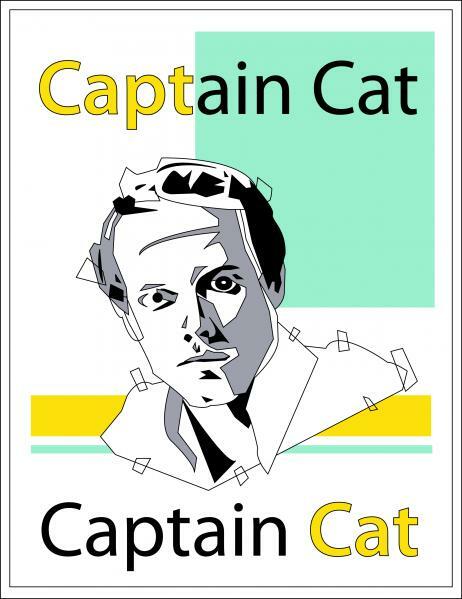 MUSICAL GUEST SPOTLIGHT – CAPTAIN CAT – Super jump / fun / pop punk from this up and coming local outfit with a touch of surf for good measure! They’re headlining a show at the Raven tonight, caught wind of some of their demo tracks off these here internets, listened to some tunes on their BandCamp page (where you can dowload some of their stuff for free!) invited them down and am looking forward to the party these cats are gonna bring live! Find out more about these young local songsters HERE. Can’t wait? Head over to the Raven tonight and get a sneak peak! GUEST VISUAL ARTIST – GARY HOARE – This long time Worcester Spoken Word Poetry Veteran paints hilarious verb landscapes, clever, outrageous, dastardly assaults on audience senses! He also breaks hearts with amazingly crafted, sincere journeys through the observing eye of an artist. 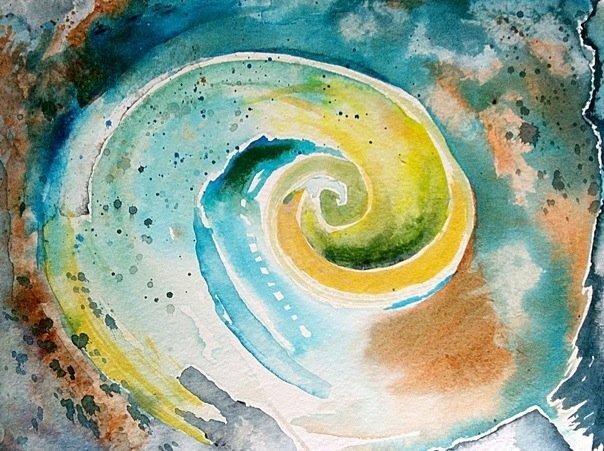 He’s also handy with a paint brush and has agreed to pay us a visit from his current home in Brighton to see just how funky glorious this visual arts collaboration can be! Will his work break last week’s record setting Auction Price of $50?! Dirty Gerund will have a credit card machine on hand to ring you up if debt is your game! BONUS RUCKUS – The “How Low Can Your Innuendo Go!” Performance Challenge! Nick’s quarterbacking this idea. Write a poem or rant, or tell the craziest, low brow-iest tale WITHOUT using any gratuitous language, seven deadly sin words or hateful verbal vulgarities! 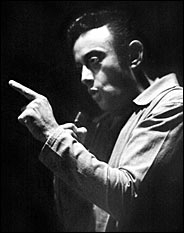 Think of the famous story of trail blazing comedian and free speech poster man, Lenny Bruce, when surrounded by cops waiting to bust him in a San Francisco Night Club for obscenity, proceeded to completely slay an audience, replacing a certain phrase with “blah blah blah…” LINK here to Dustin Hoffman’s performance of the monologue in the film, “Lenny“. There’ll be a prize for the most adventurous tale of ribaldry! Beeeeeeehave! 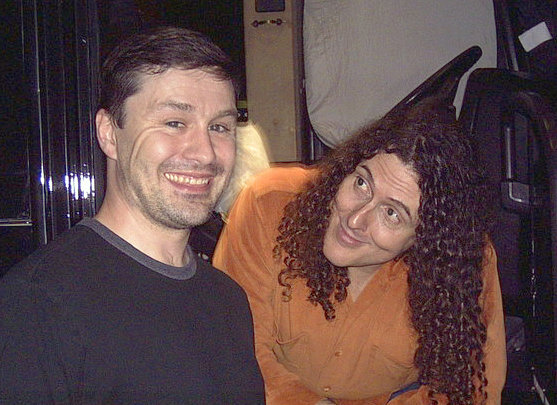 Our visual artist has met Weird Al, what did you ever do? My lunchtime has inspired this Monday’s Snack-Time. I’m gonna take it easy and go with a favorite bite sized snack from a local pizza purveyor. Stay tuned! Yosh and Chicken are in the playoff prognosticating biz, house banders Chuck, Larry and Taylor are ready set go get ’em. Nick likes sweater vests and might wear one. This show’s gonna smash like HULK! We have a super awesome announcement about some future bonus ruckus excitement! Come on down and share the warm! Nick misses u already! I like to keep those kind of declarations to myself! This entry was posted on January 7, 2011 at 6:07 pm and is filed under Uncategorized. You can follow any responses to this entry through the RSS 2.0 feed. You can leave a response, or trackback from your own site.